Executive Chef Ben Ternent and his brigade will prepare your 5 course tasting menu based on what they have bought fresh from market that morning. At the time of booking your Kitchen Table, they will find out what produce you particularly like and any dietary requirements. 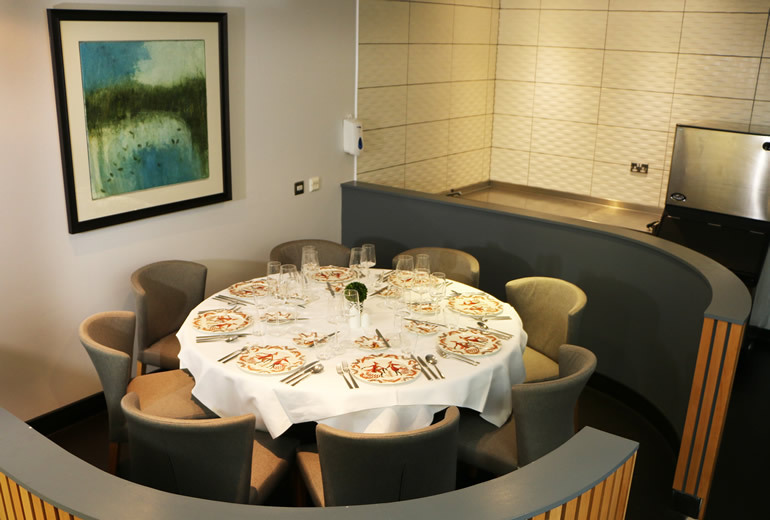 £110 per person for 5 courses with wines to match each course. Minimum 6 people, maximum 8. Subject to availability.